Rose gets involved in everything, including the children's games. We purchased these costumes at the post Halloween sales. Do you think Rose will make a good apprentice? James thinks that although Rose looks cute, she's not very good at following orders. Rose started walking early March when she was nine months old. No longer kept at ground level she is getting into higher things. 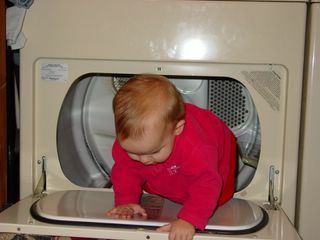 Whilst Lana was using the washing machine, Rose decided to assist with the dryer. 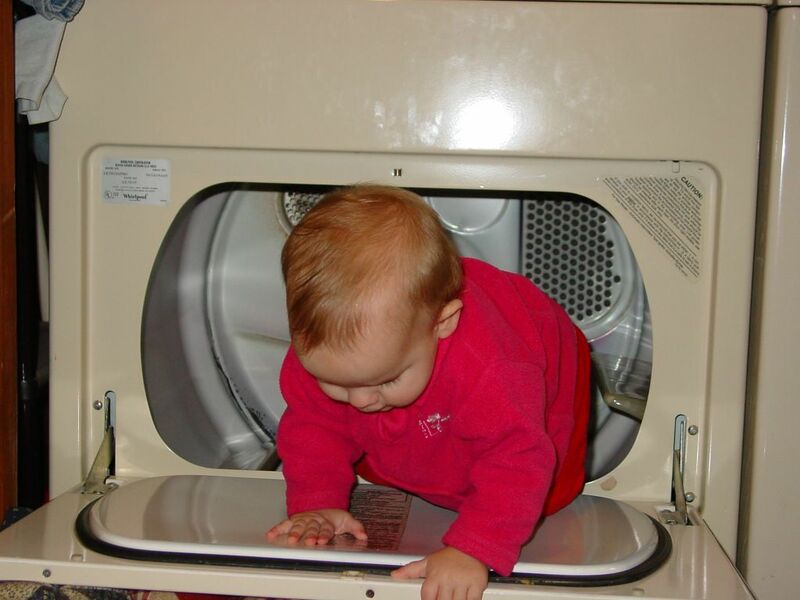 Naturally, the first step is to get in the dryer. 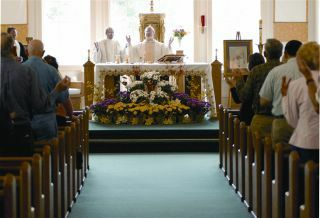 This is the picture from an article in our local paper. It was taken at the Mass held for the repose of the soul of the Pope, John Paul II. The interesting thing is that although this area is only 1% Catholic, Catholics are involved in so many public service areas, they are very well respected. No matter how much we try to avoid dust and minimise it's effect on the computers it still gets in. Recently my CD/CDRW stopped working for whatever reason. (These things just happen you know). The cheapest solution was to buy a new one at Walmart and replace the bad one. When I opened the case I was surprised at the dust. 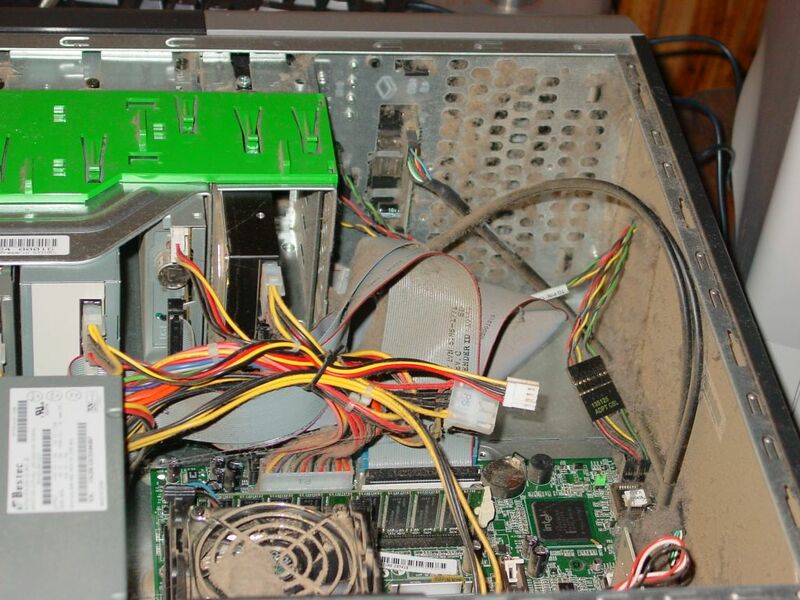 I regularly use compressed air to blow dust away, but the continuous use of the computer and the fan sucking in dust filled air does the deed. I then had Lana hold the vacuum cleaner nozzle near the dusty areas whilst I used the compressed air to blow it away and a paint brush to brush the more resistant bits. It was finally clean. Why is dust bad? 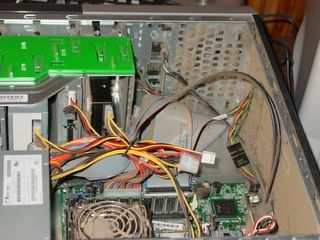 It inhibits the air flow within the PC and can cause heat buildup. Heat causes expansion which means finely tuned opathways can expand into one another causing all sorts of weird and wonderful errors - even corruptions. All three boys have been playing soccer this season. To avoid timetabling hassles, Peter and James were with the same coach (seen in the photo below behind Peter) and Eric was in the coach's daughter's team. It worked out evry well. All the boys did well and enjoyed their season. This is a recreational league with no finals or ladder. 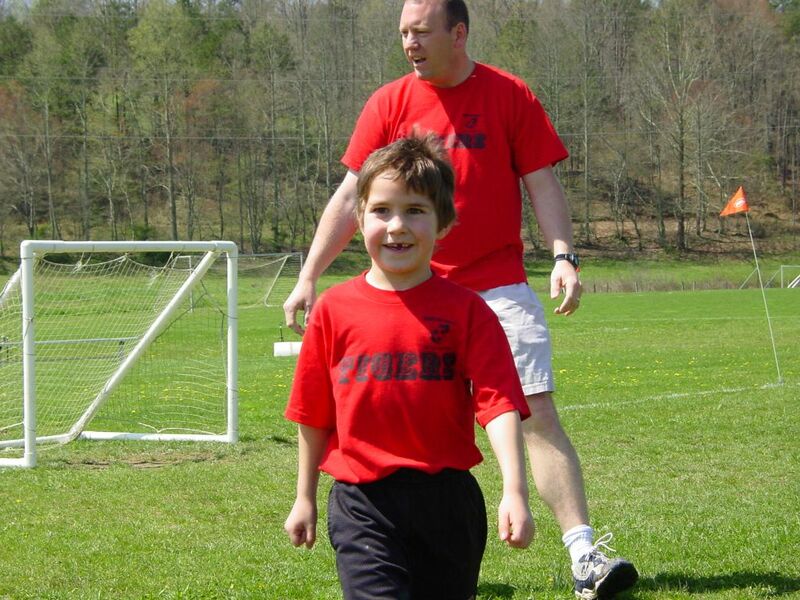 Typically sports in the US tend to be school based. As each county pays for the schools in the area, the county facilities tend to be associated with the schools. So it can get tricky for those not in the public school system to be involved in many sports. This league was started a number of years ago by some homeschooling families who negotiated for use of spare land next to a local bottling factory. Each season the competition grows with more players and teams.